Outstanding bargains and genuine resale opportunities! Resale specialists since 1998! 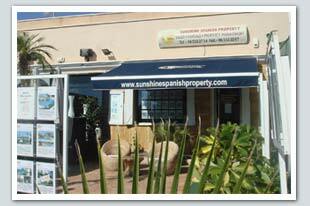 Sunshine Spanish Property offer a wealth of local knowledge, experience in the Spanish property resales sector, and an easy-going, relaxed and friendly service to help you find your perfect property here on the Costa Blanca! 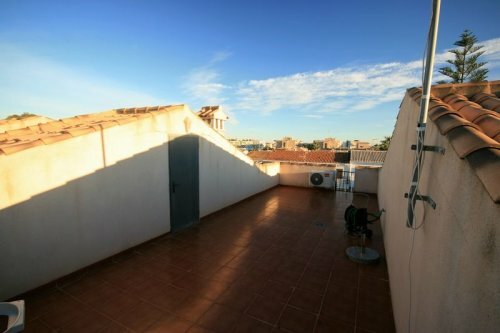 Top Floor Corner Apt with fantastic solarium and views, just €95,950! The Costa Blanca in Spain, an area of outstanding beauty! Here on the sunny Costa Blanca, on the east coast of Spain we enjoy 300 days of sun a year! We are located between mountains and the sea. learn more about this outstanding area! Golf, boating, biking, diving...the list goes on! Fantastic sun all day 2 bed, 2 bath corner property with front and side garden for sale in Cabo Roig, Costa Blanca. This property ticks all the boxes. This is a superb opportunity to purchase a spacious property. Ideally located close to all amenities, bars, restaurants and walking distance to the beaches of Cabo Roig. This urbanisation in Cabo Roig is a well maintained urbanisation and boasts of a three fantastic communal pool areas. The property comprises of 2 double bedrooms, 2 bathrooms, open plan living area, air conditioning and will be sold fully furnished. There are also several terraces with great views. See details & gallery for this resale property! Fantastic 3 bed, 2 bath south facing townhouse next to beach! Fantastic 3 Bed, 2 Bath Semi-Detached house in Montemar, Dehesa de Campoamor. This 3 Bed, 2 Bath villa comes with its own private swimming pool. 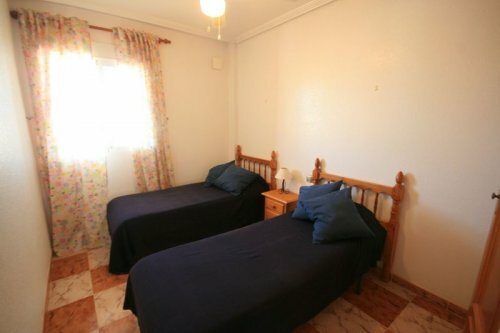 Great location walking distance to Campoamor Beach. The property comprises of 3 spacious bedrooms, 2 bathrooms, living room, separate kitchen with a large covered in storage area to the rear. Recently painted the property is like new and in very good condition. This property will be sold furnished. There are many extras to the property like fitted air conditioning in the master bedroom and living room. All the shutters have been replaced with a modern aluminium material. The TV, fridge, electric water heater are also new. A must view property in fantastic condition and located close to all required amenities. Please enquire for further details and to arrange viewings. 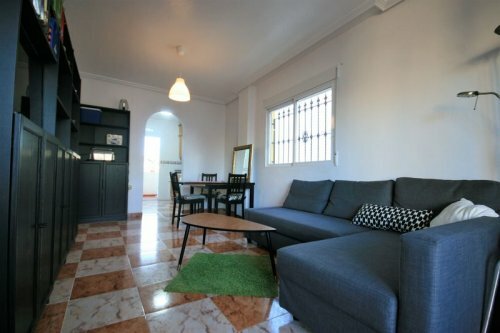 A Unique Spanish Style 3 Bed Corner Apartment located within walking distance to the amenities of Cabo Roig. This spacious property comes with a huge garden area (space for a private pool) and 3 elevated balcony areas getting the sun all day. It also boasts a private detached Garage to the rear of the property. The property will be sold furnished. Walking distance to all amenities, bars, restaurants, supermarkets and the beaches of cabo Roig. Cabo Roig Beachside Apartment with sea views for sale, costa blanca. Wonderful opportunity to acquire a frontline apartment with breath-taking sea views over the med and out towards La Manga. An up-market apartment in a gated frontline urbanisation walking distance to the beaches of Cabo Roig & Campoamor. A Minutes stroll to a host of bars, restaurants and all required amenities. The property comprises of 2 double bedrooms, 2 bathrooms, separate kitchen, brand new ducted air-conditioning unit hot and cold, fully furnished, refurbished bathroom, separate utilty room, private underground car parking space and much much more. The property has a sizeable balcony area with adequate room for sun loungers. South West in Orientation!!! Please enquire for more details!!! 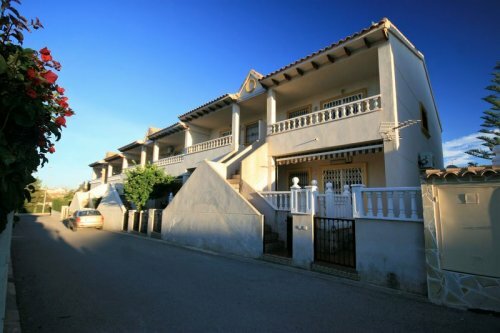 3 Bed, 2 Bath townhouse for sale in residential Vistamar, Cabo Roig Beachside. Ideally located property walking distance to all amenities, bars, restaurants and a mere 100m to the beachfront promenade of Cabo Roig. Consisting of 3 double bedrooms, 2 bathrooms, spacious kitchen, utility, various terraces/balconies and a private roof top solarium. The property will be sold furnished with sat t.v ,air-conditioning in all the rooms and all conceivable extras. Gated community with a beautiful communal pool area frontline to the sea. please enquire for further details and viewings. Beachside! Superb South Facing Apartment, Near Cala Capitan Beach! Spacious South Facing apartment located on the beachside of Cabo Roig. Comprising of two double bedrooms, one large bathroom, open/plan kitchen/dining area, large front terrace/patio partially glazed, working fireplace, air-conditioning, private off street car parking, large rear garden area and much much more.... The property will be sold fully furnished. A few minutes walk to the popular beach of Cala Capitan and near to all amenities such as supermarkets, bars, restaurants etc.... Please enquire for further details and to arrange viewings. A must see property!!! Come & see us for a chat! Where are we located? We are right in the heart of things on the Cabo Roig strip! You can see our location here on an interactive map...give us a ring and we'll put the kettle on!